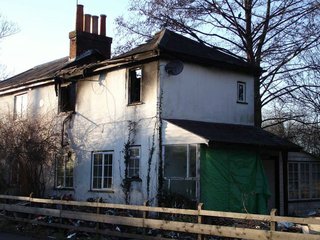 The Mercer family escaped safely when an overloaded electrical plug set their house on fire in the early hours of Sunday 11th February. They found temporary refuge with the Bournes, and are now in a house owned by Middleton Estate. Those who have mislaid the advice on house fires distributed after the last one might like to check the village website where there is a link. It is important too to check periodically that the water stopcock in the road is usable, so that the supply to the house can be turned off from outside. 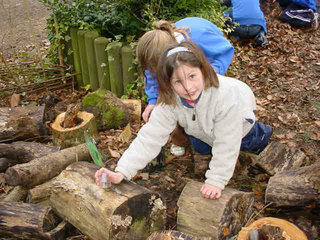 Years 3 and 4 visited Sparsholt earlier this month as part of their work on Rocks and Soils. They carried out soil testing in several locations and then separated the samples into their different parts in order to investigate and identify the various components that make up soils. They then made up their own soils, ensuring that all the different ingredients needed were included and looked for insects which act as ‘rotters’. All the children enjoyed the day and were complimented on their excellent behaviour and involvement. In January, a Year 4 and 5 team took part in a basketball tournament at Testbourne. This is a relatively new sport for the school and has proved extremely popular. The team played very well and came second overall in the competition. Congratulations to all members of the team and Basketball Club. Reception Class joined local toddlers for their monthly Scramblers service at St Nicholas Church, led by Rev Harrison and Mrs Isherwood and ably assisted by representatives from years 5 and 6. The focus for this half term was 'Families'; this is an activity that the children always look forward to and is a good introduction to the school's close ties with the church. In December, we were successful in a bid for funding towards the cost of acoustic curtains for the Community Hall. These are now in place and have decreased the amount of reverberation that was being experienced in the hall. When you have the opportunity to see them, we hope that you will agree that they add warmth and colour to the hall in a positive way. There will be a reception for new villagers at 8pm on Tuesday 27 March in the Longparish Village Hall. We need plants of all sorts for the May Fayre plant stall on May 12th. So if you have a surplus of bedding or can split herbaceous plants please give some. I'll be happy to pot up seedlings but please make sure they are identified. Other garden stuff will also be very welcome.